Season 1 of The Strain was more fun than it had any business being. 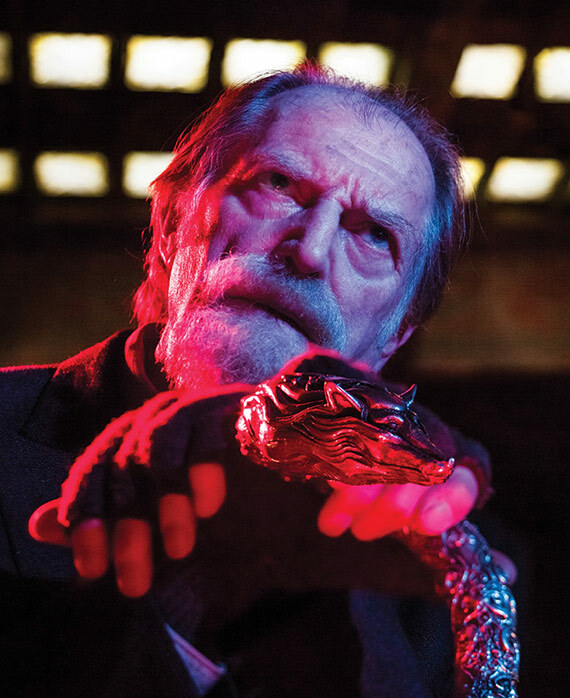 Based on the book by Guillermo del Toro and Chuck Hogan, The Strain details a vampire epidemic in NYC that threatens to spread throughout the world. The 13 episode season was filled with ridiculousness like vampires with 6 ft long tongues that shoot out, Eichorst “feeding”, and Gabriel Bolivar’s Ken doll scene. The first seasons hinted chaos was coming and it looks like we’ll be getting it in Season 2. Eph, Nora, Abraham, and Vasilily will indeed have their hands full. They’ll definitely be needing help from Gus and the Hooded Vamp Squad. Check out the teaser trailer below. Posted in Television, Trailers and tagged Chuck Hogan, Corey Stoll, David Bradley, FX, Guillermo del Toro, Jack Kesy, Jonathan Hyde, Mia Maestro, Miguel Gomez, Richard Sammel, television, The Strain, vampires. Bookmark the permalink.